Hello Everyone.... I know it's been a while. I have missed writing on my blog so much, but things are just too hectic for me right now. Anways, as you might have noticed from the title of this post... this is indeed my final Lawnscaping post as an official DT member. I am sad to say that I have decided to step down from being on the team. Although I LOVE working with them SO very much, it has just been difficult for me keep up with certain commitments and there are a few other things in my life that I need to focus on right now. I hope that many of you will continue following my blog, despite the fact that my posts have been very inconsistent these days. I always genuinely LOVE hearing from you all, and I promise that as soon as things get settled, I will try my hardest to get back to creating and posting regularly again. 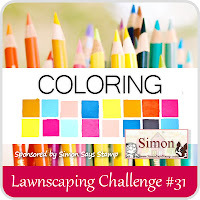 For this particular Lawnscaping Challenge #36, the theme is "Color Splash", and we are being sponsored by the fabulous Simon Says Stamp online store. 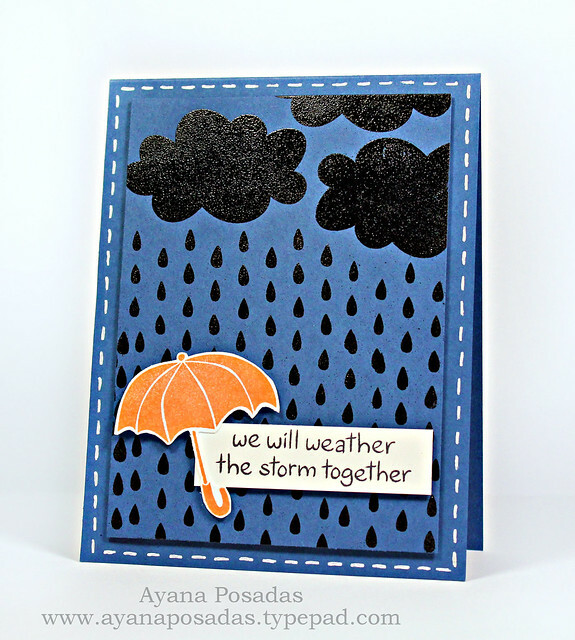 As you can see in my photo above, I chose to keep the colors rather dark, by using navy blue cardstock and black embossing powder. Then I just added the color splash pop by adhering the orange umbrella. As I always say: I sure hope my card has inspired some of you. 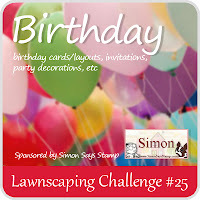 I also hope that many of you will decide to play along in this Lawnscaping Challenge #36 as well. Thank you so much for reading today and stopping by. And to my friends over at the Lawnscaping Blog, it has been an absolute pleasure working with such an amazing and talented group of girls. I have been so inspired by ALL them! Thank you so much to Laurel and the team for allowing me to be a part of such a wonderful team! Hello Everyone. Happy Monday!.... I'm a little bit drained after this weekend. I had a fun time sharing the last couple of days with good friends for a bachelorette party. My weekend included, a hotel party, dinner, clubbing, beach, etc. Needless to say, I'm pretty exhausted after all of the festivities. LoL.... But it was a good time overall, and the wedding is next week. I'm going to be a bridesmaid, so it should be fun. 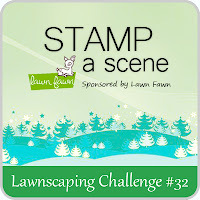 Ok well, my card for today is for the latest Lawnscaping Challenge #32- "Stamp A Scene". It's being sponsored by Lawn Fawn, and I'm sure we can all agree that they have tons of great images for creating scenes. I chose to reach for one of the older stamp sets from Lawn Fawn, "Critters in the Burbs". Hopefully you guys enjoy my card. I urge you to check out the challenge details and play along too, if you have some time! 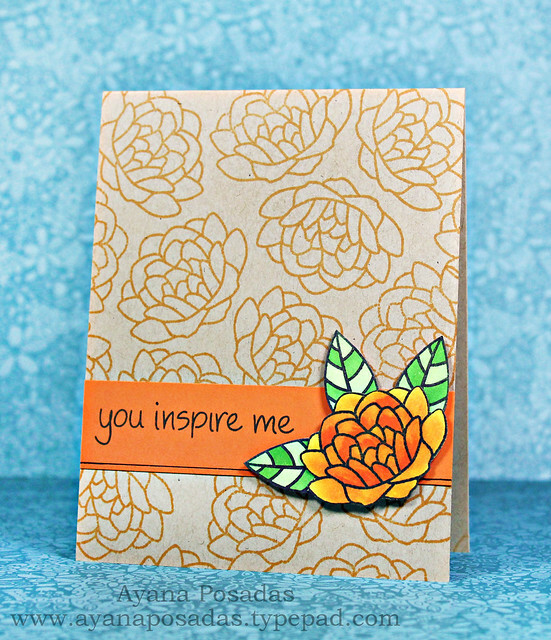 LS Spring Blog Hop- "You Inspire Me"
Before I get into all of the details, I just wanted to quickly thank so many of you for your super sweet comments and emails in regards to my last post. They mean SO much to me, and I am still in the process of responding to you guys. Just wanted to quickly touch upon that. You should be joining me from Tina's blog. You will have until Sunday, April 8th at 11:59 PM EST to leave comments on all of the blogs in order to be eligible for some great prizes. All the details can be found on the Lawnscaping blog. Thank you so much for stopping by today!!! Hope you all had a great weekend. Mine was pretty hectic, as usual. I'm in the process of looking for a new car to buy and I've also been very busy with work lately. Blah! Hopefully things will settle down soon. 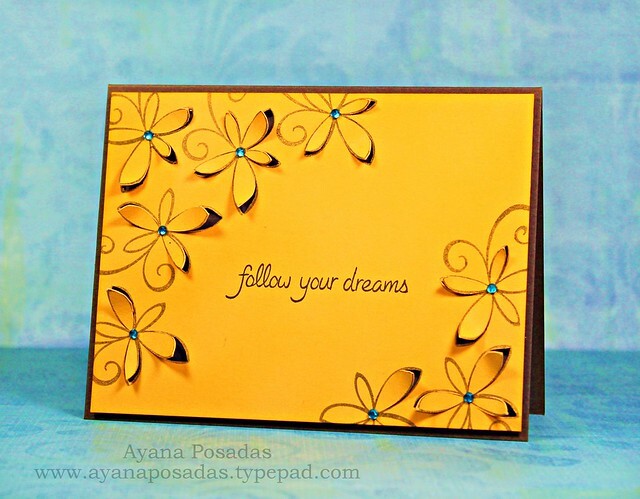 Anyways, onto a better note... the card I made for today is for the newest Lawnscaping Challenge #30- "Inspired By". This challenge is rather unique in comparison to the others, becuase you are able to find inspiration from just about anywhere! I chose to use a photo from My Pinterest account that I pinned a while back. You can check out the photo below or also by clicking here. 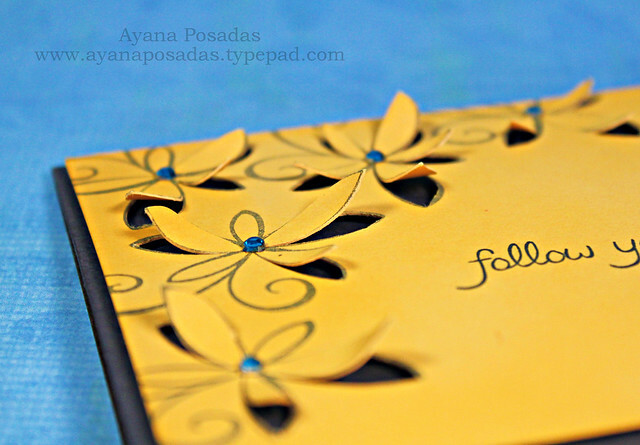 As you may have noticed from the photo, I was initially inspired by the gorgeous color combo of deep yellow and gray. So that's what I chose to use in my card. Then I used an Exacto Knife in order to lift up some of the petals from the flowers. 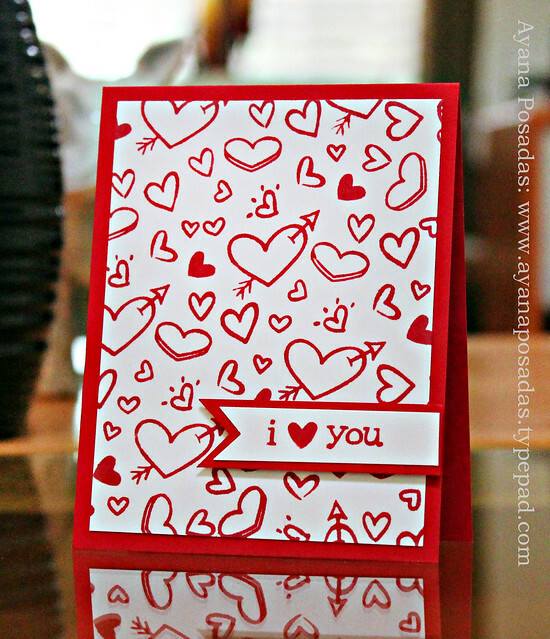 I thought it would be nice to give the card some dimension. Not quite sure where the blue came in to play... haha... but when I was done with the card, I felt it still needed something more. So I decided to add the blue rhinestones for a little pop of color. Hope you guys like it! Oh, and if any of you have a Pinterest account too, leave me your link. I always love following and checking out my crafty friends' accounts. Hope you have a fabulous day!!! I thought I would go for a fun Spring theme on my card, and the pinwheels seemed like a perfect fit! I hope many of you will get a chance to play along with this fun sketch challenge too! 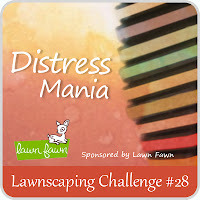 Be sure to visit the Lawnscaping Blog for all of the details and challenge rules, along with some more fun inspiration from the rest of the DT. If you enter, then you could have the opportunity to win a gift certificate from our wonderful sponsor, Simon Says Stamp! Hope you get a chance to play along!!! Thanks so much for visiting today!!! Ok, well on to my card above!... This card was made for the latest Lawnscaping Challenge #28- Distress Mania. 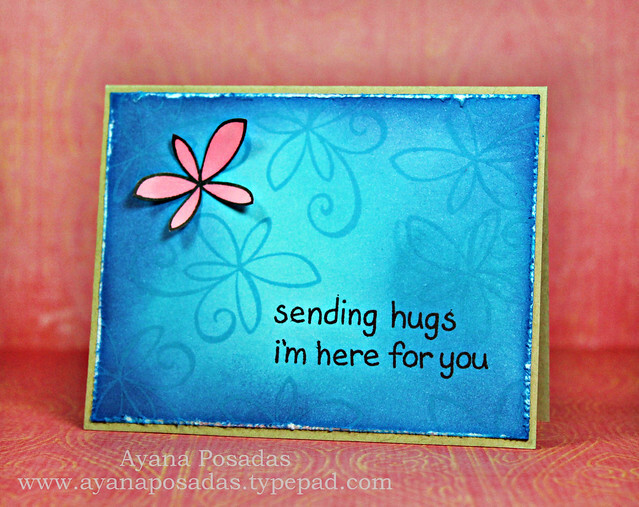 The theme involves applying any type of distress technique to your card. In my case, I chose to apply my ink on with distress tools and sponges. Then I also roughed up the edges a bit using regular scissors. Hope you all enjoy this card and this challenge! 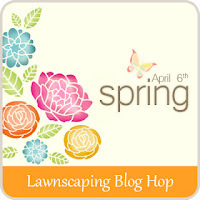 Visit the Lawnscaping Blog for all of the details on how to play along too, and possibly have the chance to win a free set from Lawn Fawn! Naturally, the photo is perfect for Valentine's Day, which is just around the corner! :) So I urge you guys to try to play along. If you enter, you also have to the chance to win a $25 dollar gift card from our fabulous sponsor: "Simons Says Stamp". Just head on over to the Lawnscaping Blog for all of the details on how to play and also for more inspiration projects from the rest of the design team. 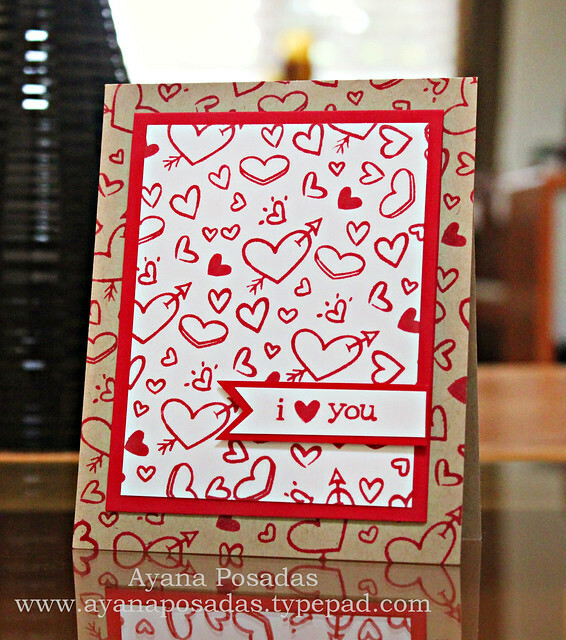 As you can see, I made two versions of my card, using all the various little HEARTS that I found amongst the Lawn Fawn sets. Tell me... Which card do you prefer most? The first or the second? I'd love to read your thoughts! Also... if you follow me on my Facebook or Twitter... then you may have seen that I recently went to CHA in California last week. I never got around to announcing the fact that I was going here on my blog. I will post some pics from my trip soon. I had A LOT of fun and I met SO many wonderful people. So I'd love to share my experience with you all. Hey Friends!.... 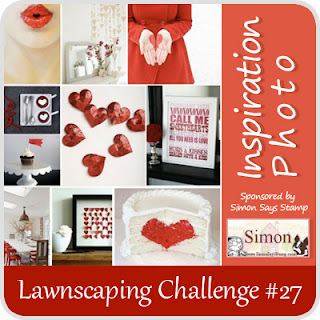 Just a quick post here to let you all know about the newest Lawnscaping Challenge #26. The theme for this week is Winter Wonderland. I sure hope many of you will get a chance to play along! Head on over to the Lawnscaping Blog for all of the details on how you can win a prize from our sponsor: Lawn Fawn, and also for more fun inspiration cards from the rest of the design team. Welcome to my first post of 2012! :) Hope you guys all had a great New Year's Eve! 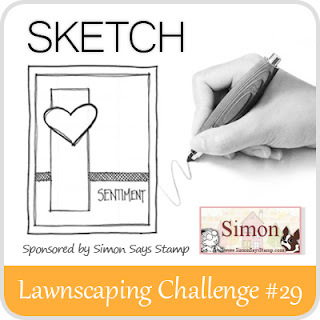 Today I have a very special Lawnscaping Challenge to share with you all. The challenge blog is exactly ONE year old today (yay! ), thus the theme for this challenge is BIRTHDAY!!! 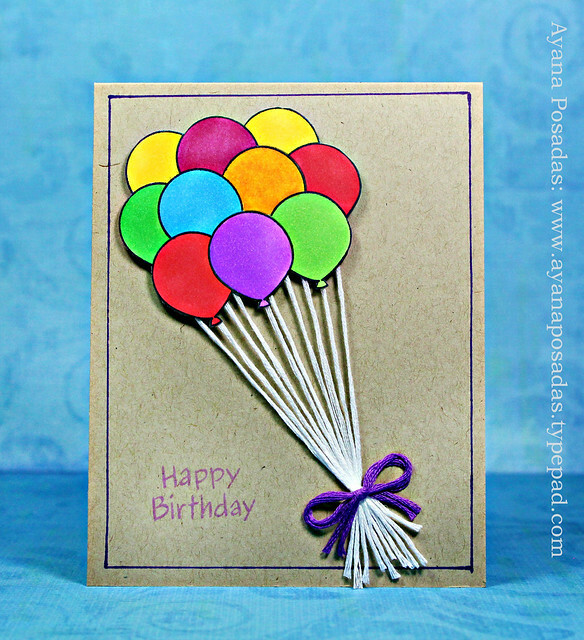 You can make any card or project that is related to anything having to do with birthdays. Super simple and fun, huh? I hope many of you will chose to play along! OH, and also, you guys will definitely want to check out the Lawnscaping blog today too, because we have a special gift for all of our followers. It is cute, cute, cute!!!! You can find all of the challenge details and along with the super cute gift for all Lawnscaping followers by clicking HERE!